Gemini Group is dedicated the success of our customers. Our pursuit of excellence in engineered plastic extrusions is distinguished with multiple certifications and allows us to offer an expansive list of services and capabilities. 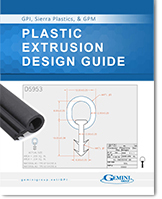 Put Gemini’s extrusion experts to work for you! Contact us today to start the conversation. Gemini prides itself on providing our customers with the highest quality extruded plastic products. Our commitment to quality, safety, and continuous improvement is demonstrated through our ISO 14001:2015 and IATF 16949:2016 certifications. What are you waiting for? Make an introduction and schedule your plant tour today!